MANY stakeholders in the beef, sheep and grains industries believe technology advances will be one of the defining features that drives the performance and success of Australian agriculture over the next decade. As part of our ongoing investment in better servicing the interests of readers, Sheep Central, Beef Central and Grain Central today launch a new technology-specific news and information platform. ‘AgTech Central’ will provide regular, comprehensive updates on developments within the agricultural technology space. The new section will carry fortnightly columns written by well-known farmer and agribusiness identity, Sam Trethewey. Sam is from a farming family and has worked across Australia and overseas on most major commodities including beef, wool, lamb and cropping. 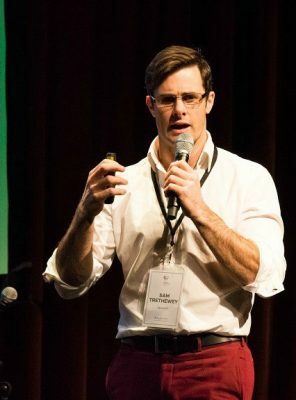 He co-founded SproutX, Australia’s first and largest agtech accelerator and investment fund, where he spent nearly three years developing an ecosystem of support for agtech startups. He has been a regular commentator on agriculture through print, radio and online and has recently started his own food production company, whilst also working as head of brand for specialist rural and regional communications agency, Redhanded. New product showcases and ‘road-tests,’ summarising new ag technologies as they come to market, or are upgraded. Robotics and other processing and production sector technologies. Readers with an interest in AgTech are welcome to contribute to the discussion each week, via our reader comment facility. Subscribers to the Beef, Sheep and Grain Central websites will receive a free fortnightly Thursday email summarising latest content on the new AgTech platform. The section can be located using each website’s home page navigation bar. The new AgTech platform will offer cost-effective national advertising for both large and small technology goods and services suppliers, in a highly-targeted format aimed at progressive, forward-thinking primary producers. Packages include a placement on the website section itself, plus an exposure on the fortnightly email alert to subscribers. Contact business development manager Rod Hibberd for details, via email or phone 0437 870 127.